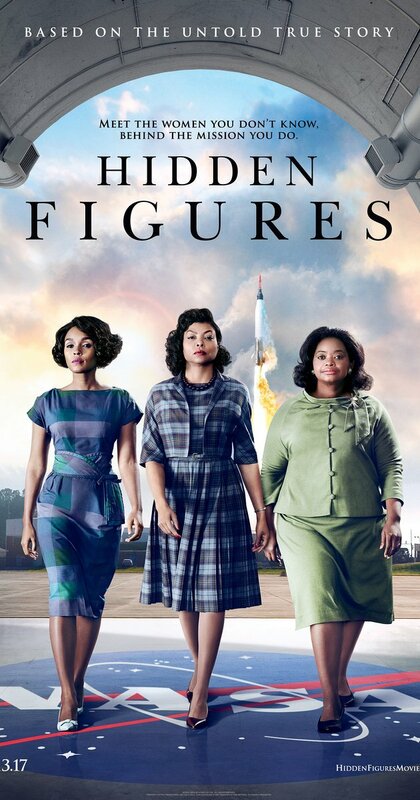 Hidden Figures is the story of three African American women who were vital to the American space program. Doing the calculations before the days when computers did the heavy lifting the three women and their sisters were the reason we got into space. Their work was so trusted that John Glenn wouldn’t make his historic flight unless Katherine Johnson herself said that it was possible. Hailed by many people as one of the best films of the year and currently in the running for the Best Picture Oscar the film is a wonderful historical drama about how three women broke through the racist and sexist attitudes of the all-white male hierarchy of NASA. It’s a film that clearly show that what you do is ultimately more important than what you appear to be. Hidden Figures will make you feel good as it makes you think about racism and sexism. My problem is that there is very little surprise or suspense. Because of the marketing of the film and the elevator pitch descriptions of the plot we know where this is going. I thoroughly enjoyed the hell out of the film but I was slightly disappointed that there wasn’t more suspense. I wish there was something that kept me on the edge of my seat. It’s a quibble I know but it kept me from calling this one of the best of the best films I’ve seen this year.